The Diamond Jubilee Garden was created to celebrate the diamond jubilee of Her Majesty the Queen in 2012. 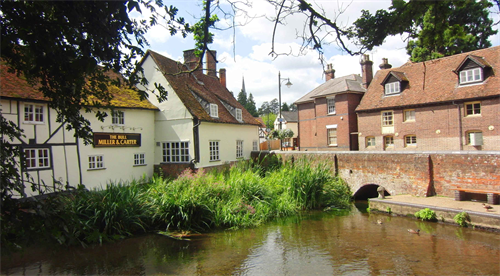 The land is under licence to the parish council from a local business and the project was conceived by the Wheathampstead and District Preservation Society. Developing the garden was a joint effort with the parish council with funding coming from a variety of sources. The garden was officially opened by The Countess Verulam on June 4th 2012, Jubilee Day. 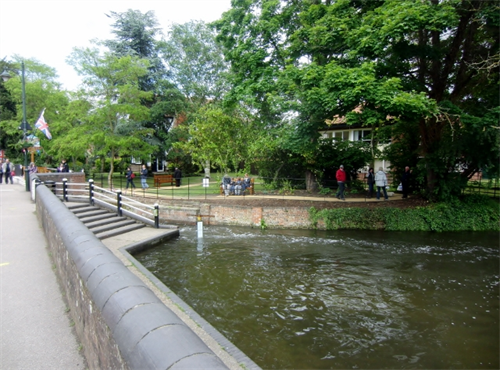 The garden provides one of the few places in the village centre where residents can get close to the river and provides a unique view of the High Street. It is a popular spot for families with small children as it is completely fenced in.